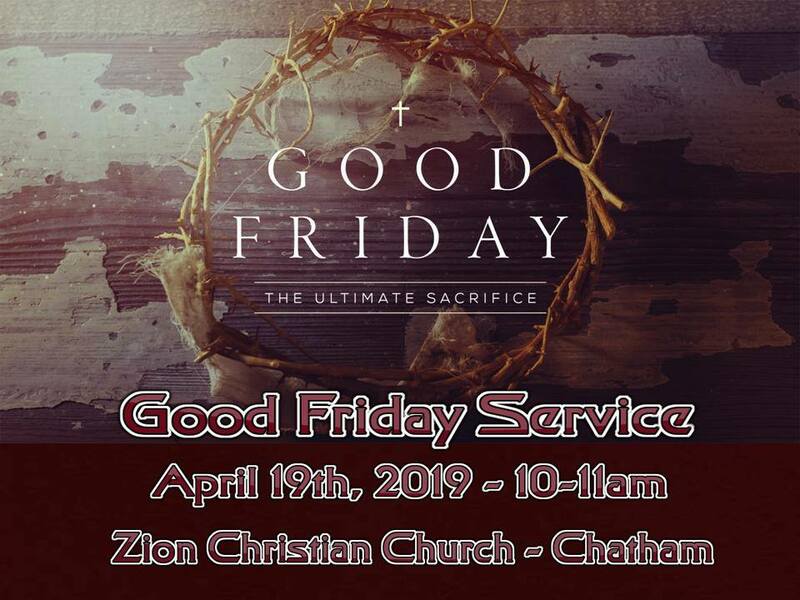 Good Friday Service on April 19th – Here at Zion Christian Church. 10 am – 11 am. Everyone Welcome.